During this time of year, weather throughout Kentucky and Indiana change daily. As temperatures reach above 50 degrees, plants begin to bloom and release pollen into the air. Those with seasonal spring allergies will usually start to see symptoms in early March and last through May. It’s important to start preparing for allergies now before pollen reaches peak spring allergy levels. Those with allergies in the spring are typically allergic to pollen that begins to appear in the air. We started seeing tree pollen, one of spring’s main offenders, back in the early weeks of February. In the latter part of the season, we will begin to see grass pollen, and the combination can make the spring a miserable time for allergy sufferers. 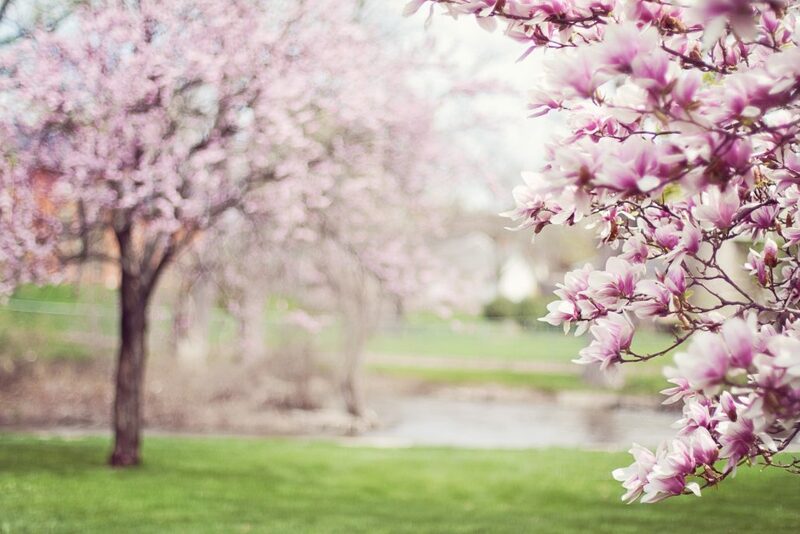 Determining what is causing your symptoms is the first step towards relief, in the case of spring allergies there are several things you can do to help ease your symptoms. Why Should You Start Preparing Now? You don’t have to wait until you are suffering to do something about your allergies. Whether you make an appointment with an allergist or start taking medication, it’s important to get ahead of the pollen. Preparing now can help ease your symptoms throughout the season. If you’ve never been allergy tested now is a great time to do it. Learn what you are allergic to and how to treat it before your symptoms get worse. If you are looking to treat more than your symptoms, immunotherapy (allergy shots) can desensitize you to the allergens that are bothersome to you. A traditional allergy shot program typically takes a few months before patients experience symptom relief, however; Rush or Cluster immunotherapy can reduce relief time to weeks or even days. Sweep out the winter cobwebs and get ahead on your spring cleaning. A deep spring clean includes dusting everything from the light fixtures to the bookcases, washing curtains, sweeping floors and rugs, even vacuuming furniture. This will remove any dust and pollen that has already made its way inside. If you are out sprucing up the yard, wear a NIOSH 95 mask to reduce the inhalation of allergens. When you are done for the day, be sure to change your clothes and shower. Pollen can stick to your clothes and hair, making it easy to track pollen spores throughout your home. Tree and grass pollen are the main allergy culprits in the spring. Using our Family Allergy & Asthma patient app or by visiting our website, you can view the local pollen counts. Tracking the days when your allergies are worse can help you plan accordingly. Stay inside during the midmorning and early evening to avoid peak pollen hours on days in which the pollen count is high. When the weather is finally warm outside, it is tempting to turn off the heat, open windows, and let the fresh air in. This fresh breeze might feel nice, but it will also bring the pollen inside your home. Keeping your windows and doors closed will create a safe retreat during the peak pollen season. Another place to control pollen is in your car. Keep your car windows closed and the AC on re-circulation to help keep pollen out of the car. As we often suggest, it is best to change your air filter seasonally, or every 3 months, this helps keep the air inside your home clean. Consider other environmental control products as well, both zippered pillowcases and mattress encasements can help reduce dust mites and even have shown to help with pet allergies. Tree and grass pollen are not the only spring allergens; mold can often occur in basements, bathrooms, and kitchens. Any area that might not dry properly can grow mold, check under the sink and even the doormat for mold spores. Clean or remove anything with mold you find in your home and monitor humidity levels to ensure the humidity is below 50%; otherwise, mold could return. Keep your allergies under control by preparing now while pollen counts are low. If over-the-counter medications are not helping you, talk to your primary care physician or schedule an appointment with one of our board-certified allergists to find relief.